The human body continues to throw surprises ever so often during our quest to know it better. And the key to everlasting health and wellness seems to lie within the body itself. All we have to do is to unlock our bodies’ greatest treasure. Stem cells promise to be that key, scientists claim. Stem cell therapy – fiction or fact? While all of us have heard weird stories of celebrities like Kim Kardashian, David Beckham, Margot Robbie and Simon Cowell using some kind of “stem cell” therapy for just keeping their youthful appearances intact, there is more to the therapy than just looking young. A more serious list of stem cell users would include athletes like soccer players Angel Di Maria and Diego Costa, basketball stars Kobe Bryant and Andrew Bynum and golf legend Tiger Woods (if rumours are to be believed!) who have used this path-breaking therapy to treat debilitating injuries. Were it not for stem cell therapy, these elite athletes’ career would have come to a juddering halt. Stem cells can solve a variety of health issues and offer a better quality of life by facilitating body regeneration. Regeneration is stem cells’ unique task in our organism. They are capable, under the right conditions, of turning into any kind of cell. These “backup” cells could be called into active duty when a particular type of cell is required. Human stem cells are artificially grown in the lab under controlled conditions and then are injected into the body. Once inside the body, the stem cells go to the damaged area following the local cells’ “distress signals” and then mature into cells specific to that region, thereby giving the tissue or organ a new lease of life. During the stem cell therapy, a patient receives anywhere between 200 to 300 million stem cells. This quantity not only covers the loss of the previous years but exceeds it by over a thousand times. This new stem cell reserve helps activate the rate of replenishment of damaged cells to benefit your body holistically and to make you feel rejuvenated with increased vitality. Promising and encouraging opportunities of stem cell therapy are proved by the increasing fundings from various governments and private organizations and focus on the research by the growing industry. The stem cell therapy market is expected to grow at a CAGR of 39.5% year on year, to reach $330 million by 2020. Recently, Vitalik Buterin, the co-founder of Ethereum, announced a $2.4 million Ethereum donation to SENS Research Foundation, a Silicon Valley non-profit that works in the fields of research, development and promotion of regenerative medicine solutions for diseases of aging. Thus, the market holds promise for not only esthetic treatment procedures, but also for solving many types of health issues by stem cell therapy. Stem cell therapy could be brought to a vast majority of the world at affordable rates, claims the Stem Cell Project. 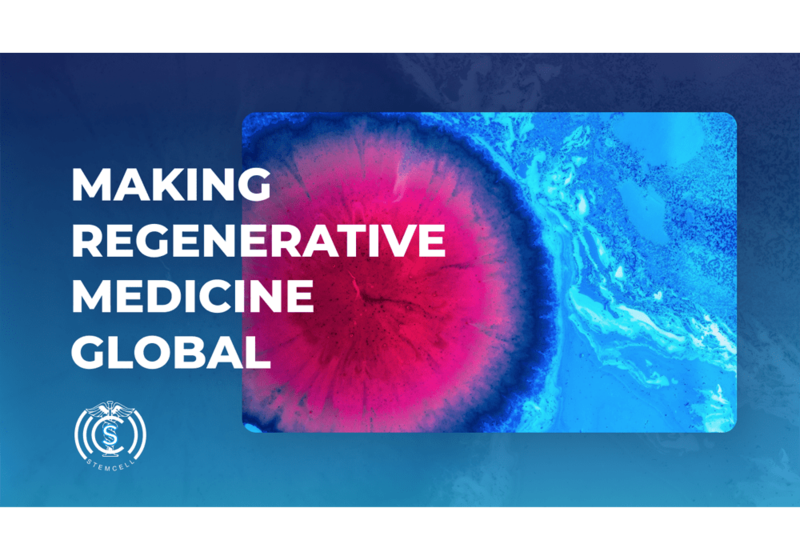 How is this ambitious project going to popularize the use of stem cell therapy for treating injuries and to reduce aging through the cutting edge technological interventions? They have a plan based on blockchain technology and Artificial Intelligence (AI). A real-time diagnosis system will be created using blockchain technology and AI. Such a system will enable automatic diagnosis of images and pathological data that can be shared with clinics and hospitals around the world. A lot of medical big data will be generated through this platform. This big data can be used to eventually drive the advancements in healthcare at a global level. The Virtual Clinic concept of the project aims to bring the patients closer to hospitals. We all know that a hospital visit is often a stressful experience for patients. Many a times, patients have to spend a disproportionate amount of time at hospitals for minor exercises like getting medicines. By using the network of member hospitals and clinics of the Japan Society of Aesthetic Regenerative Medicine, along with state-of-the-art AI Bot diagnosis, the project plans to create a remote medical check-up system and a search/reservation system for hospitals and clinics. With just a smartphone app, you are securely connected to your panel of doctors and medical support staff round the clock. The project also envisages a payment system for stem cell therapy treatment procedures at affiliated hospitals that is based on cryptocurrencies. This will make the payment process easy, affordable and seamless. By undertaking comprehensive research and clinical work, Stem Cell Project aims to create therapeutic formulations with stem cells and put them into public circulation. This pharmaceuticalization of stem cell therapy will help all those in need of regenerative medicine get access to formulations with ease. The project will create a “Cell Bank” that will store stem cells of individuals. These stem cells can be put to use when a particular individual is in need of them for stem cell-based treatment procedures. The paramount objective of the project is to create an ecosystem wherein everyone receives high quality medical services wherever they are in the world. Stem cell therapy is not science fiction anymore. It has become an exact science and is being used for the treatment of many health conditions. Stem Cell Project endeavours to make so far pretty costly stem cell therapy affordable and available not only in the most technologically advanced countries, and bring intelligent healthcare to all.